A few months ago, we highlighted 7 small updates to Disqus that you should know about. We’re working to improve Disqus every day through the release of new products like Email Subscriptions. Under the hood, smaller changes are released regularly to improve the experience for both publishers and commenters. Here’s a summary of notable changes we’ve made recently to make Disqus better for you. If you’re currently on a paid Plus or Pro plan, you now have the option to switch to an annual plan and save 10% compared to the monthly rate. Head over to Settings > Subscriptions and Billing for your site, and select “Switch to Yearly billing” in the Billing section. When you confirm the update, the card on file will be immediately charged at the discounted annual rate. If you have remaining days on your active monthly plan, the charge will be prorated accordingly. From that point on, you will be charged every 12 months unless you cancel your paid subscription. Check out our Subscriptions & Payments FAQ for more information. Redesigned Pricing page that makes it easier to compare the different plan options available. Active subscription plan now shown in your Disqus Admin. Clicking the badge takes you straight to your Subscriptions and Billing page as well. It’s now easier to switch to a different plan without having to cancel your current plan. If you’re on a Plus or Pro trial, we show you the time remaining with the option to enter payment information. 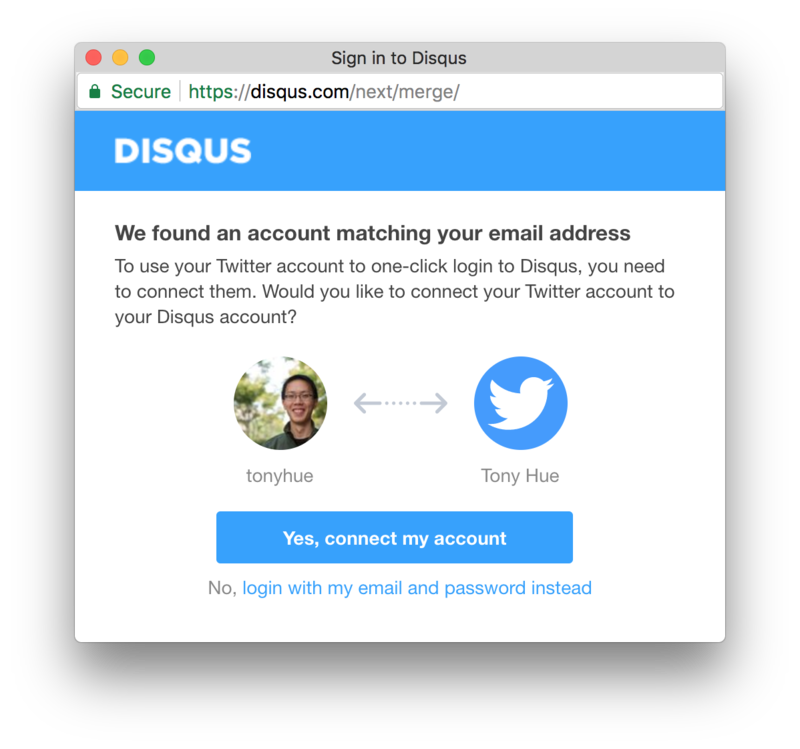 If you previously created a Disqus account and login with a social account that matches the email address, you can connect the two accounts during the login process. When signing up for Disqus using a social account, we no longer require you to set a password during sign up. 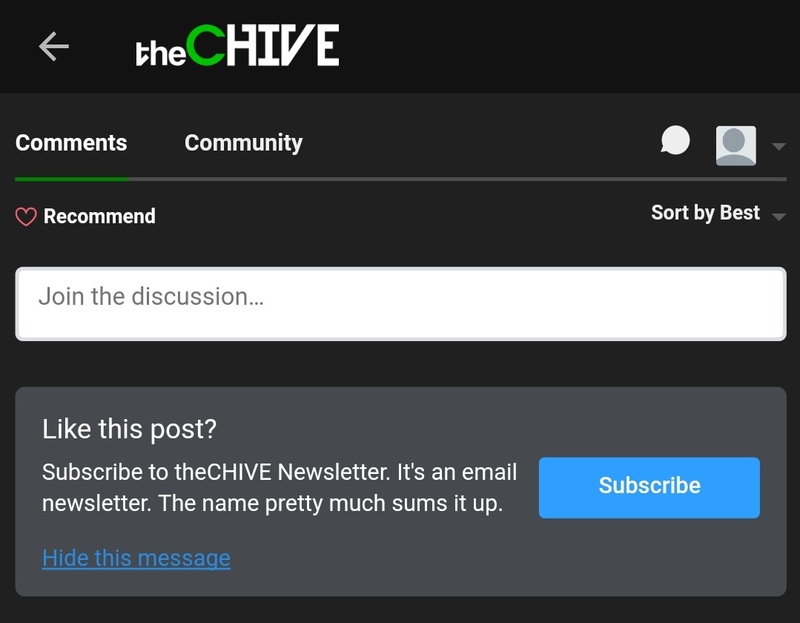 Sites with dark backgrounds are now supported when using the new Email Subscriptions feature. 💬 What updates do you want to see next? If you have specific product updates you’d like to see in the future, post a comment in the discussion below. We’d love to hear from you.